For your viewing pleasure, allow me to present once again, Bella's best beau, Gus! Gus looks extremely sophisticated :-) Happy Hump Day! oh my gosh, what a beauty! That muzzle just goes on and on. Lovely shot. No wonder he's Bella's best beau! He's gorgeous! Lucky Bella:) Gus looks like he is as lovely natured as he is handsome. We never see Borzois around here, shame. They're beautiful. He IS gorgeous! 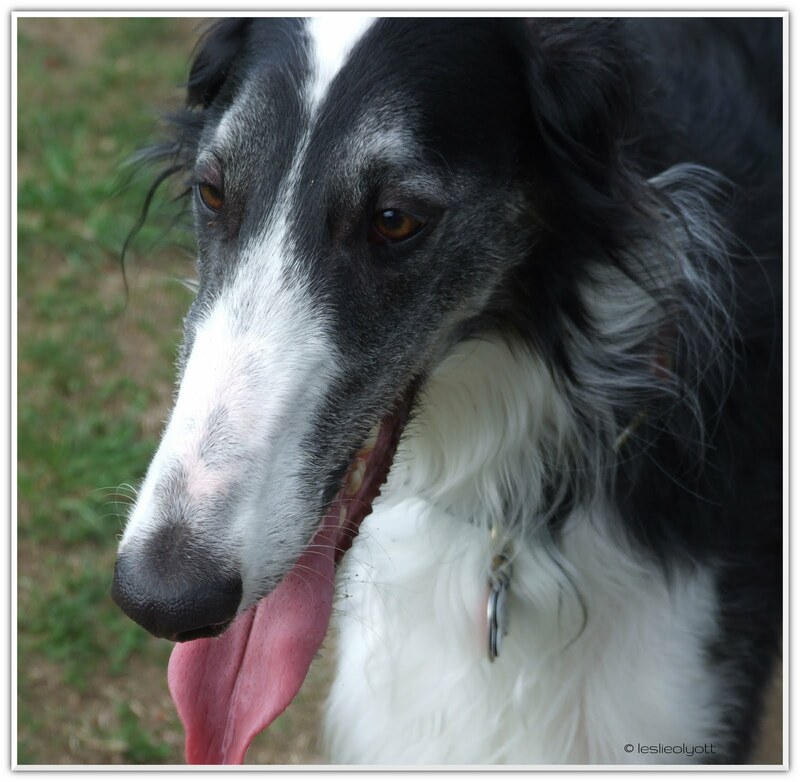 I love dogs with long noses...more to kiss. Hi my lovely Nola, Gus thanks you for your kind words and I thank you for visiting! Thanks Pamela. He's a lovely subject. Thanks for stopping by, Pup Fan! Hi Sue, They're not especially popular around here either, which is probably why Gus gets so much attention when we're all out together. He is such a sweet guy, too, though. You're absolutely right about that.